It is a big house, quite a responsibility to guard. 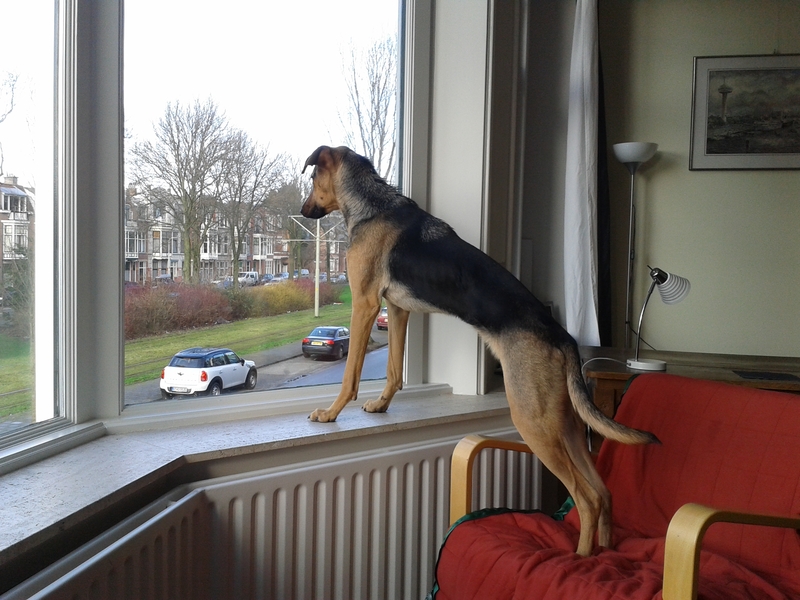 But from this position I have a good view of the street and the grass in front of our house, all of which is mine. M says it isn’t, but it is. She doesn’t know it yet. If I had stayed in Greece and the shelterpeople would not have found me, I would be a stray dog and probably guarding a garbage bin right now. There is nothing wrong with a garbage bin, of course, but this is much better, don’t you think?